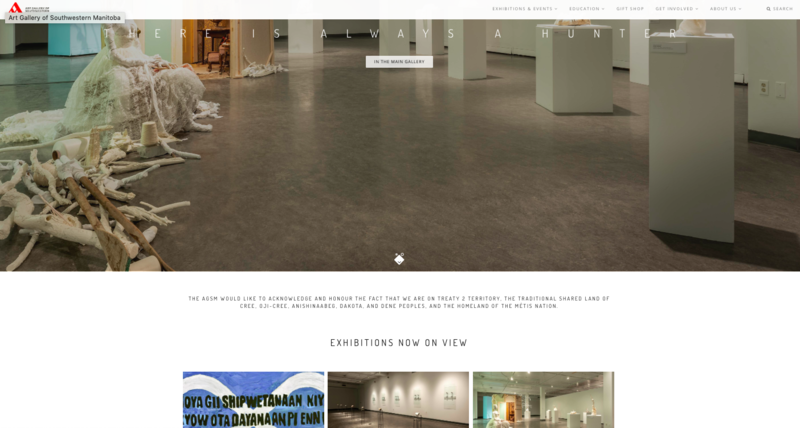 The Art Gallery of Southwestern Manitoba is a community engaged contemporary art gallery that celebrates artistic excellence and diversity within their region and beyond. They believe that art is an essential element of what defines community, culture, and nation. As such, they are committed to the artists and deep art history of this land as they collectively work to understand the complexities and wonders of their lives and circumstances in this shared community. Their vision is to leads and inspires community engagement through contemporary art exhibitions, education, and events.